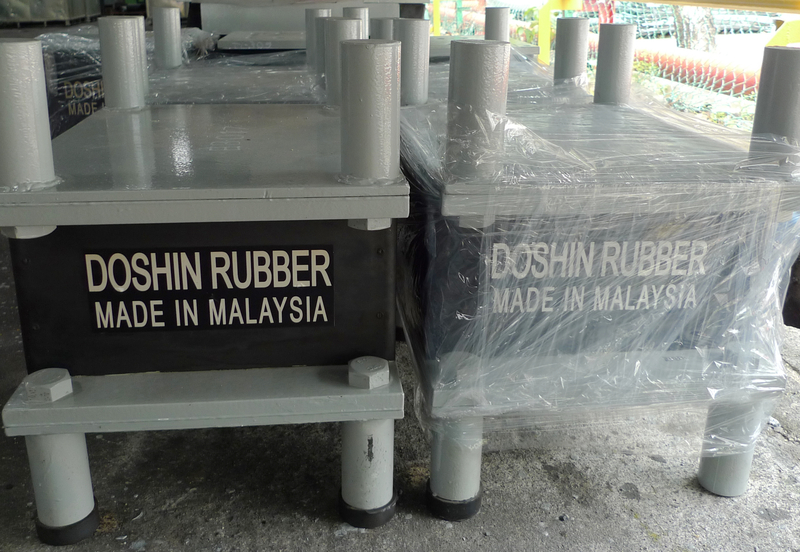 Doshin Base Isolation LRB lead rubber bearings work on the principle of base isolation and limits the energy transferred from the ground to the structure in the event of an earthquake. 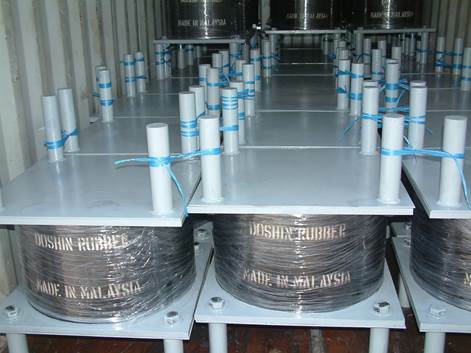 Base Isolation Lead Rubber Bearings (LRB) consists of a laminated rubber and steel bearing with steel flange plates for mounting to the structure. All isolators have an energy dissipating lead core. The rubber in the isolator acts as a spring. It is very soft laterally but very stiff vertically. 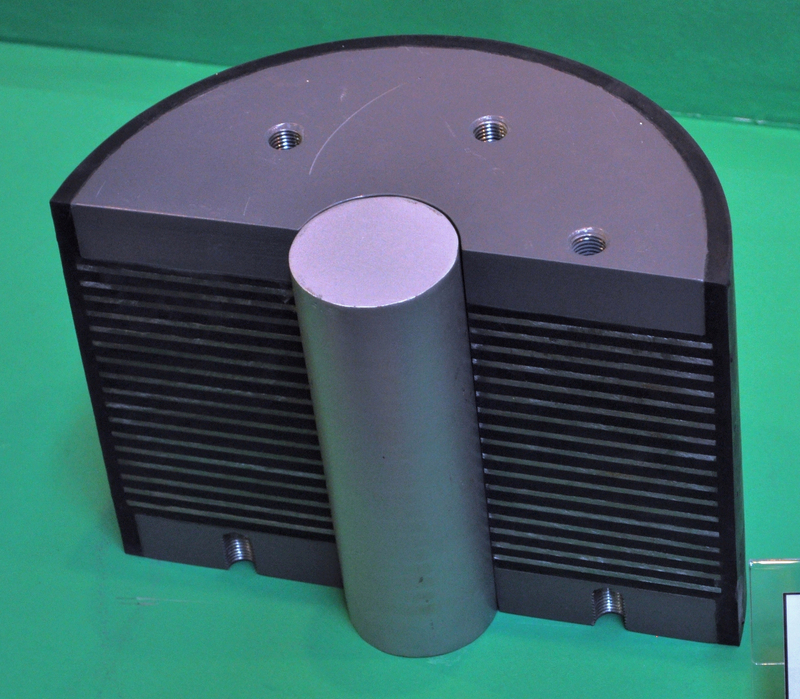 The high vertical stiffness is achieved by having thin layers of rubber reinforced by steel shims. These two characteristics allow the isolator to move laterally with relatively low stiffness yet carry significant axial load due to their high vertical stiffness. The lead core provides damping by deforming plastically when the isolator moves laterally in an earthquake. All steel for isolators are cut to exacting tolerances by laser. Both top and bottom end plates are machined by computer-controlled milling machines that give high production throughput and accuracy. 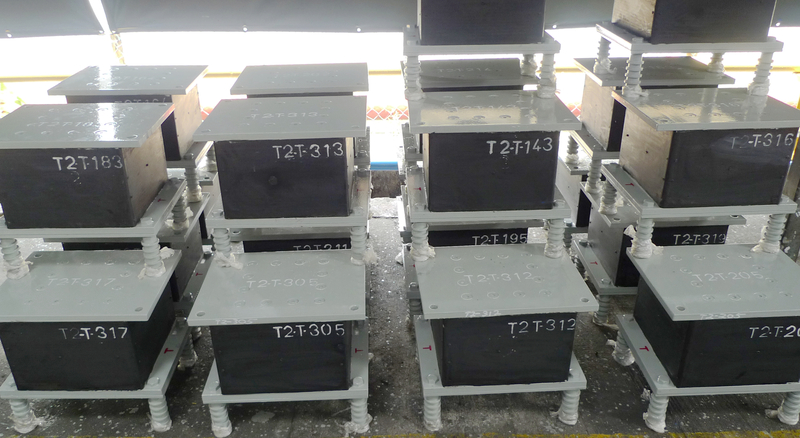 All steel plates to be bonded to rubber shall be sandblast to remove all rust and sharp edges (rounded and chamfered), completely dip and thoroughly clean in degreasing agent, apply bonding adhesive primer, and apply bonding adhesive top coat and keep at the oven at control temperature before moulding. Doshin is able to perform full scale bearing size testing in house according to EN 15129: 2009 . Doshin lab is accredited by ISO/IEC 17025, fully equipped with full range of testing rig from 200kN to 50,000kN vertical load and 100kN to 5,000 kN shear load.